I started my vacation journey with the expressed goal of relaxing, resting and reflecting. Little did I know that outside events and internal viruses would so dramatically change my point of view. It all started at the airport in Denver, when shortly before our departure, I perused Facebook and was shocked to learn to that a fellow Toastmaster had died the night before, within an hour of giving a speech. Wow… I had no words. Retrospectives have been a big focus for me these past weeks as I’ve been writing and speaking on the topic since the beginning of the year. Now, as I am cooped up in a desert hotel with the humbling head cold, I am further forced to slow down and reflect on life’s crazy path, journey or maze, depending on your perspective. I am intentionally trying to avoid reading the news updates from the outside world but it is difficult to shield myself from the bizarre and unsettling stories about crazy killing Uber drivers and an egomaniac billionaire who may win a nomination for president of the United States. The calls to fasten my seat belt on this nauseating narrative have caused me to want to curl into the fetal position and never check Facebook or CNN again. A positive ray of hope entered my sheltered yet wounded psyche yesterday when I came across a poem while sitting in a waiting room. 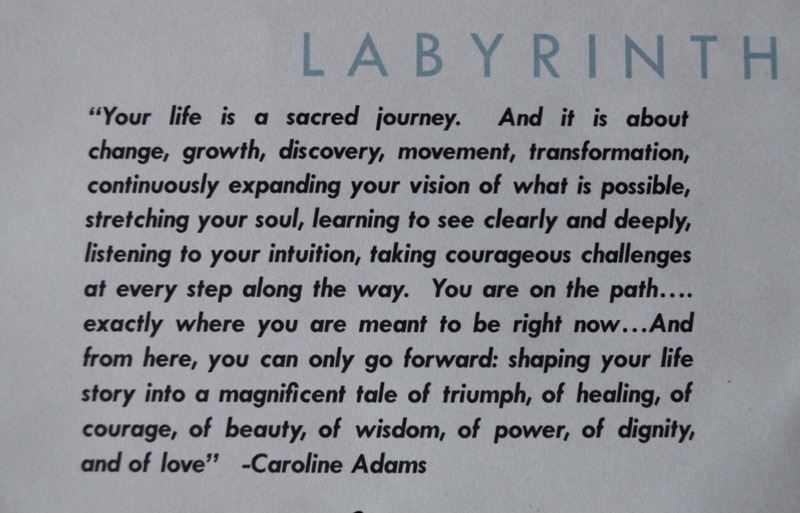 It was written by Caroline Adams and started with ” Your Life is a sacred journey”. It’s powerful message spoke to me about change, growth, discovery and transformation. It encouraged me to expand my vision on what is possible and to see clearly and deeply. And now I sit, I write and I reflect. 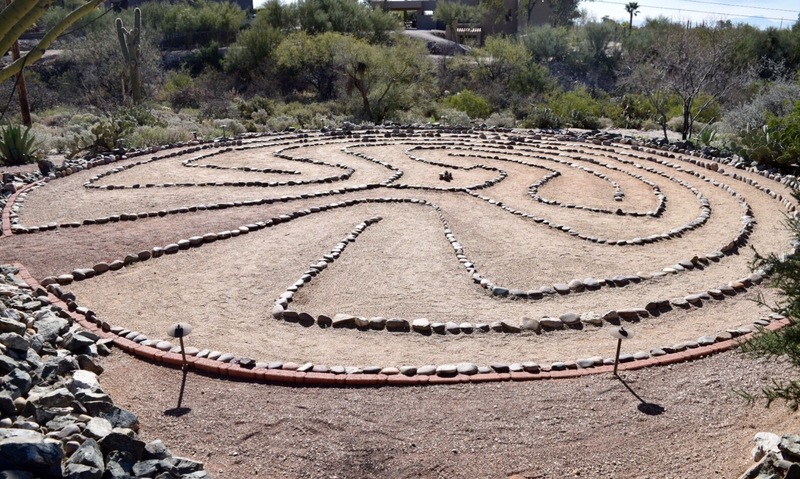 I am eager to get out of my room and go explore the labyrinth that’s down the sandy path in this beautiful desert. I am ready to experience the joy of life more fully now that I am again reminded that nothing lasts forever and every moment is a gift. I am reminded that Life is a sacred journey and should never be taken for granted, no matter how badly we feel. Nothing lasts forever. Not the high, not the low, not the happy, not the sad. The Labyrinth of Life just keeps going until it doesn’t. I’m going enjoy and appreciate it now while I can.